Moving to London is a daunting prospect, whoever you are, whatever your budget and whatever your needs. 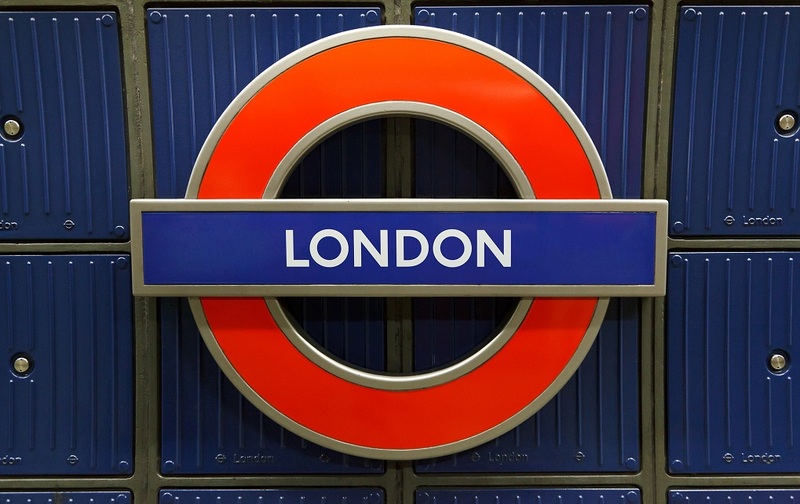 With so many different areas, varied lifestyles and multitude of travel options available, it can be difficult to choose an area to live in London. But when it comes to the best affordable areas and the best areas for families, Ellis & Co has got it covered. We've put together this guide of the best areas in London to live for families and those on a budget. A jewel in the North West London crown, Willesden Green makes our top three for a multitude of reasons. Compared with nearby Queen's Park and Kensal Green, Willesden Green offers the family homeowner a little more brick for their buck. Large family homes, particularly in the Mapesbury Conservation Area and Brondesbury Park are popular and with Willesden Green being just five miles from Central London, a straightforward commute for mum and dad makes this North West hotspot ideal for families. Travel: Willesden Green and Dollis Hill are on the Jubilee Line and Brondesbury and Brondesbury Park on the overground. Willesden Green is in zone 2 so an annual travel card to zone 1 costs £1,364. Property prices: The average price of a property in Willesden Green is £682,184, with larger family homes commanding between £800,000 and £1.2m. Schools: St Joseph's Roman Catholic Primary School was recently rated five stars by schoolguide.co.uk, while Anson Primary School picked up four stars. A 'village' within zone 4, Mill Hill is a haven for families thanks to its superb schools and community feel. A magnet for families living in Hampstead or Highgate who want more space for their money, Mill Hil's semi-rural feel means it also has real staying power. The Georgian homes and cottages around The Ridgeway area command most interest from buyers, but The Broadway also boasts some lovely 1920s semi-detached properties as well as a few new-build flats close to Mill Hill East underground station. Travel: Those with a car are spoiled when it comes to Mill Hill. The A1 and M1 to the north are nearby, while train travellers can hop on board at Mill Hill Broadway and reach St Pancreas in 20 minutes. Mill Hill East underground station is on the Northern Line in zone 4, with a zone 1 travel card costing £1,960. Property prices: Mill Hill's average property price of £728,364 means it's not London's cheapest area to buy. Flats sell for an average of £508,413, while semi-detached (£703,391) and detached family homes (£1,281,090) show just how much in demand the area is for families. Schools: The standard of schools in Mill Hill also make it an attractive postcode for families. Mathilda Marks-Kennedy Jewish School in Hale Lane is rated 'outstanding' by Ofsted, while Courtland and St Vincent's RC are also 'outstanding' primary schools. Mill Hill County High School, meanwhile, was rated 'good' by Ofsted. Last but not least on our family-friendly list is Harrow. Famed for Harrow School, the winding roads and elegant properties of Harrow on the Hill sit above a truly cosmopolitan area which is great for families. Situated slightly further away from Central London compared with our first two family-friendly choices, Harrow plays host to a raft of large semi and detached family homes and offers good commuter links into the city. Travel: The underground and Overground lines serve Harrow, with trains to Euston from Harrow & Wealdstone taking just under 15 minutes. Trains from Harrow on the Hill, meanwhile, arrive at Marylebone in a similar time. A Bakerloo line underground train will take 37 minutes to reach Oxford Circus and Metropolitan Line trains from North Harrow, Harrow on the Hill and West Harrow pull into Baker Street in 21 minutes. In South Harrow, underground trains on the Piccadilly Line take 40 minutes to Piccadilly Circus. Most Harrow stations are in zone 5, meaning an annual travel card to zone 1 costs £2,328. Property prices: The average price of a property in Harrow is £484,293. Terraced properties fetch in the region of £500,000, while semi-detached homes are selling for an average price of £569,543. Schools: Away from the private, boarding schooling of the Harrow School, Harrow also boasts some 'good' and 'outstanding' primary and secondary schools. Among the 'outstanding' primaries are Elmgrove Primary, Marlborough Primary and Belmont Primary, while Whitmore High and Claremont High are among the best-rated state comprehensives. Birthplace of Jonathan Ross, Graham Gooch and David Beckham, it's hard to ignore Leyton as a superb option for those moving to London. A popular option for those priced out of Hackney and Stoke Newington, Leyton has enjoyed something of a renaissance post 2012 Olympics and property prices have reflected that. However, there is still plenty of property to be had for your money and Leyton's Victorian terraces, particularly those along the Francis Road area, are hugely popular. Travel: Leyton underground station is on the Central Line, meaning trains to Stratford and the Olympic Park in just two minutes, while travel time to Oxford Circus is a very appealing 21 minutes. The station is in zone 3, meaning a travel card to zone 1 costs £1,600. Property prices: Most properties in Leyton are terraced and sell, on average, for £543,853. Flats command an average sale price of £354,205, while semi-detached homes average £543,955. Leyton's overall average property price comes in at £458,723. Lifestyle: Leyton boasts an array of shops and restaurants, including those at the Leyton Mills Retail Park near the tube station. The High Road showcases lots of independent shops and restaurants, plus the Leyton Technical pub and Deeney's, the Scottish cafe. On Francis Road, the Albert & Francis coffee shop is a popular haunt, while the Northcote Arms on Grove Green Road serves superb wood fired pizzas. For those who like a bit of open space, Hackney Marshes and the Lea Valley are great for a walk, while Epping Forest sits to the east. Just 10 miles north of Central London, Enfield is famed for its small town life and green, open spaces. Trent Park and Forty Hall nearby make Enfield seem like a million miles from the hustle and bustle of the city and homes here are still very affordable, too. The area has a good mix of Victorian homes, 1920s and 1930s semi-detached and terraced properties as well as some new build flats. Travel: As well as Enfield's close proximity to the M25 making escaping London fairly routine, it also has good links to Central London via rail. The Overground from Enfield Town reaches Liverpool Street in 34 minutes, but travellers also have the option to change for the underground service at Seven Sisters. Moorgate is reachable from Enfield Chase in a similar time, but the change option is again popular at Finsbury Park or Highbury & Islington. The nearest underground station is Oakwood on the Piccadilly Line. Enfield stations are in zone 5 so an annual travel card to zone 1 costs £2,328. Property prices: Property in Enfield costs an average of £461,889, which is around £200,000 cheaper than nearby Haringey and almost £300,000 cheaper than Islington. Terrace properties in Enfield cost, on average, £460,254, while flats go for around £300,000. Lifestyle: Enfield's market on a Thursday, Friday and Saturday is hugely popular, while The Palace Gardens shopping centre boasts most major brands. The Crown and Horseshoes pub overlooks the river, which is great for walks. Forty Hall is magnificent and has a cafe, lake and gift shop. A mere seven miles north of Central London, Tottenham has become something of a haven for young professionals priced out of Hackney further south. Rows of Victorian homes dominate the neighbourhood, which has been regenerated in recent years by an influx of artistic and creative talent drawn to the area's 'cool' feel. Travel: The Victoria Line offers commuters from the area a direct passage into Central London via Seven Sisters and Tottenham Hale in just 15 minutes. Turnpike Lane, meanwhile, operates on the Piccadilly Line. South Tottenham station is on the Barking overground line with an annual zone 1 travel card from zone 3 costing £1,600. Property prices: Tottenham's average property price of £448,237 makes it cheaper than South Tottenham (£476,641). Flats in the area as a whole go for an average of £317,552, while terraced homes fetch £525,429 on average. Lifestyle: As well as the popular Seven Sisters market, a hive of Latin American stalls bursting with colour, Tottenham also boasts a more relaxed coffee culture which has shifted north from popular Hackney. Shoppers have the West Green Road to cater for their needs, while Tottenham Hale retail park on Broad Lane also has a selection of retail shops. Those seeking respite from the hustle and bustle can head for Markfield Park or Tottenham Green on the High Road which is surrounded by stunning Georgian houses. A bowling green, sports pitches and a cafe sit nicely in Downhills Park alongside a pleasant Italian garden. If you are looking for a new home in London, you can view all of our available properties for sale and to rent here.